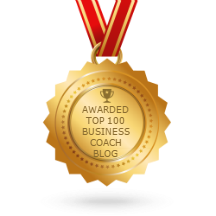 What ‘coaching’ really means and why it’s a better way to do business. I get asked all the time what coaching actually means, and whether it can truly help people in business. Because coaching has become such a corporate buzzword, it is in danger of being misrepresented and dismissed. So I’m going to take this opportunity to dispel those myths and describe what coaching really is, where it comes from and what self-coaching techniques you can use in your day-to-day life as a business owner. Whilst this definition is helpful, it is only partially accurate. From early forms of transportation, i.e. stagecoach, or rail coach, the literal definition of ‘coaching’ is to move someone from one place to another. Simply put, coaching is about creating movement or change. What a good coaching relationship should provide is the space for helping someone see opportunities for improvement. Let’s delve a bit deeper (like all good coaching does!) and look at coaching’s origins. As the Collins definition suggests, coaching has its roots in sport. In 1972, Harvard educationalist and tennis expert Tim Gallwey published his groundbreaking book The Inner Game of Tennis. Rather than focusing players exclusively on technical ability Gallwey used the word ‘inner’ to indicate that the player’s internal state, was as important as what was happening on the court. "The opponent within one’s own head is more formidable that the one on the other side of the net." What Gallwey’s book did was to identify the essence of coaching; to unlock a person’s potential to maximize their own performance; helping them to learn, rather than teaching them. Check out this little animated video of Tim's book. Up to this point sport and business had been much more authoritarian, but Tim Gallwey was the first to shift the emphasis to a learning model, rather than a teaching one; listening rather than telling. His approach suggested that we are not just empty vessels waiting to be filled, but are more like an acorn that already contains everything it needs to be a beautiful oak tree. We need nurturing and encouragement and to know where the light is, but the ‘oaktreeness’ is already within us. I don’t know about you, but when business/life throws me a curveball I can quickly lose confidence and become overwhelmed, not sure of what to do next. Looking at Gallwey’s concepts of coaching, it’s not hard to see how they can be applied to your business. There will always be external barriers to achieving what we want to achieve in our businesses, factors beyond our control, but it is our internal barriers or ideas of self that determine how we deal with our business challenges. Let me put it another way; it isn’t what happens to us, it’s how we deal with it. Coaching is about raising our self-awareness and taking responsibility. There is no mystique around coaching. It is not difficult to learn, but it requires practice, discipline and a willingness to learn and change. Having been in and around coaching for a long time, what I have come to realize is that coaching is not just something you do; it is an attitude to life, a mental flexibility that comes with a lot of practice. Part of my role as a coach is to help people develop their own mental agility when they are faced with problems so that rather than resorting to old patterns and ways of thinking, that they can develop a new attitude to problem-solving. Become their own coaches, if you like. O – Options – What are the options and alternative strategies or courses of action? W – What is do be done, When, by Whom and the Will to do it. Whilst it helpful to work through these questions with a coach, it is perfectly possible to use them on your own or with colleagues if you have a particularly knotty issue that needs attention. Self-coaching is wonderful for developing new ideas, increasing your confidence and self-awareness. 1. If you need answers, ask positive, open-ended questions – Asking the right kinds of questions forces your brain to make new connections so ask questions like: If I had nothing to lose, what would I do right now to solve this issue? What one thing could I do to get me started in the direction of the solution? How can I look at this problem another way? 2. Be open to new ideas – We can all be guilty of resisting the new. We become comfortable in old patterns of thinking and behavior, even if they don’t serve us any more. Be willing to embrace new ideas and new ways of thinking. 3. Start with one step – “Even the journey of 1000 miles start with a single step.” By their very nature entrepreneurs are ideas people who are probably used to having lots of projects on the go at any one time, but if you want to achieve something big, you have to break it down in to small tasks. Or another way to put it is start with end in mind. From here you can work backwards and figure out what you need to do in what order. 4. Take responsibility – With compassion for yourself ensure you are taking responsibility for your actions and are neither in victim nor perpetrator mode. From this position it is much easier to make decisions and take action. 5. Write it down – Intention is a powerful thing. If there is something you really want to achieve then get it down on paper; write it, type it, or draw it, but get it down. Committing to paper gets the creative juices flowing leading to new ideas and solutions. 6. Celebrate! – In the same way that you wouldn’t attribute your success to fate or someone else, don’t wait for someone else to acknowledge and celebrate your achievements. Owning and celebrating what you have achieved builds self-esteem and confidence. Rushing from one project to another without stopping to acknowledge what you have achieved robs you of the opportunity to delight in your own success and fulfillment. So take time to feel proud.